Just came across this CPR engine, quite a small engine in comparison to the later 2-10-2's and the 2-10-4 Selkirks. In addition the site contains most of the old CPR steam engines and even the early gas rail cars and the early diesels. These images were originally published in a CPR employees' magazine called "The Spanner" - I believe that it was a monthly publication. 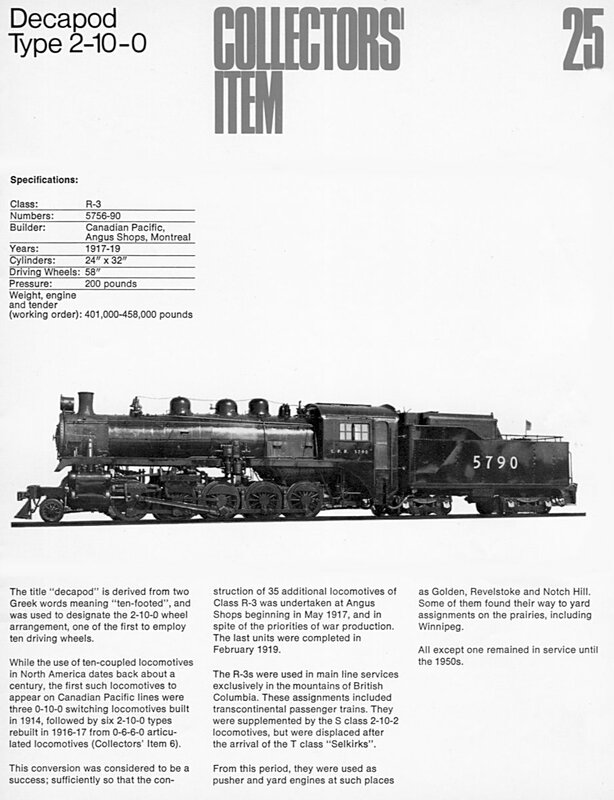 Omar Lavallee was the corporate historian for CPR for many years, and eventually published a book on CPR Steam Locomotives. The photographs were taken from the vaults of CP Photographic Services, which was conveniently located in Windsor Station (Montreal Que.) which was head office to the railway until they moved to Calgary in 1996. The Spanner was around until the late 1960's when it was replaced by a company "newspaper" - CP Rail News. It was also published on a more or less regular basis. They reran the series of images in that document over time as well. 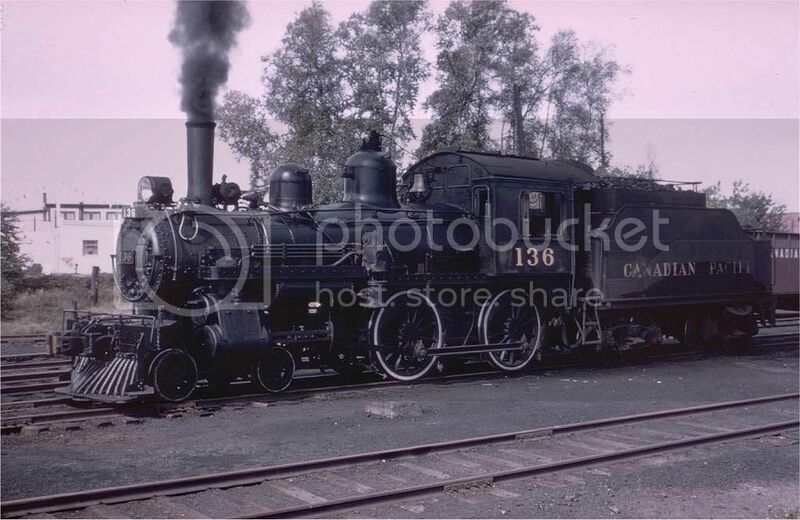 If you're interested in some other pictures of CPR (and other) steam and their histories, there's an excellent site at www.trainweb.org/oldtimetrains/ which will provide all kinds of info. Cheers! The fella that owns the site is a retired CPR employee that has been interested in rr history as long as I've known him. As I understand it, he also belongs to a web-ring that has a number of other interesting sites that you may wish to explore. He may even be able to provide you with more info himself if you drop him an e-mail (contact him through his web page). His name is Ray Kennedy and he lives in Toronto. John, thanks for that information. I sent an e-mail to the site. As a kid I lived in Field BC, the CPR divisional point.